Create your best scrapbooks ever with the new Scrapbooking Image Collection. You'll be inspired by the vast selection of art from backgrounds to shapes to signage and more. Designs for every mood: happy, reflective, thankful, expressive, spirited, hopeful, loving and more! Put together decorative projects that you and your family will treasure for years to come. 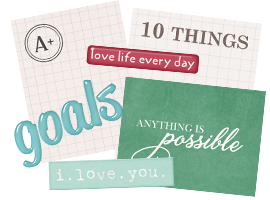 Make impressive keepsakes for all of the important moments of your life. With the Scrapbooking Image Collection, you will find ideal images for every project, every time. 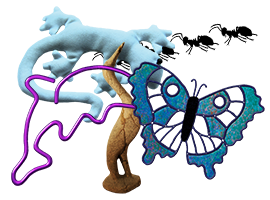 Select from journals, notebooks, numbers, letters, signs, backgrounds, shapes, animals and other essential scrapbook elements. 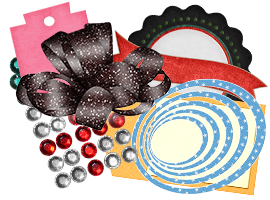 Imagine all the creative possibilities for your scrapbook projects. Take a look at some of the incredible images included in this great new scrapbooking art collection. Sewing: A warm, homey look is a natural fit for your scrapbooking. 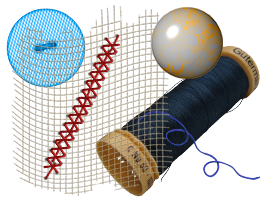 Weave a terrifically-designed tale with images of beads, buttons, spool of thread, stitching and string. Backgrounds: Pick a background that represents your personal style for form and color. 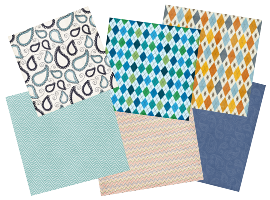 Choices abound for paisleys, textures, stripes, scatters, linear patterns and other decorative backgrounds. Wording and Signs: Make the theme of your project prominent with eloquent signage. You will find colorful wording for the feeling you want to show, whether joyous or memorable and everything in between. Gifting: Wrap up your scrapbook design with polished presentation for a lovely layout. Loads of ribbons, bows and tags make decorating the fine details fun. 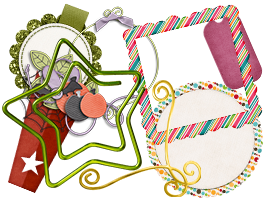 Objects: Variety is the key to a good collection of scrapbooking objects and you will find that here. 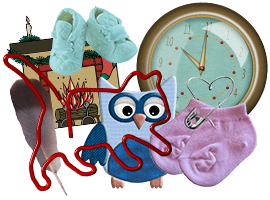 Select from paper clips, clocks, China plates, keys, baby booties, big boots, feathers, flowers and other keepsake objects. Animals: Images of animals will liven up your project. From the farm to the safari, images from the animal kingdom can only delight. Food and Drink: Sometimes, you have to give into the hunger within. 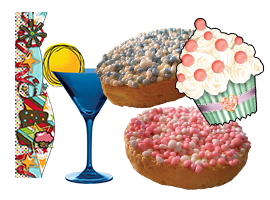 Add a little sustenance to your project with cookies, cakes and cocktails. Windows Vista®, Windows® 7, Windows® 8¹, Windows® 10 Pentium® II 300MHz processor or faster, 128MB RAM, 7GB hard drive space, DVD-ROM drive, keyboard and mouse. Macintosh® OS X 10.7 – 10.11¹, Intel® Core Solo processor 300 MHz or better, 128 MB RAM, 7GB hard drive space, DVD-ROM drive, keyboard and mouse. ¹Administrator privileges are required to properly install the program on Windows Vista®, Windows® 7, Windows® 8, Windows® 10 and Mac® OS X. A portion of the images © StoryRock, Inc. Macintosh, Mac OS and the Mac logo are trademarks of Apple Inc., registered in the United States and other countries. This product is not endorsed or sponsored by, or associated with Apple Computer, Inc. or its products or services. Any and all references to Apple® product contained herein are only to describe that this product is compatible with the referenced Apple® product or technology. Microsoft, Windows, DirectX, and/or other Microsoft products and their associated logos referenced are trademarks or registered trademarks of Microsoft Corporation in the United States and/or other countries. All other brands, marks, logos or trademarks are the property of their respective holders. ENCORE and the Encore logo are trademarks or registered trademarks of Encore Software, LLC in the United States and other countries. All rights reserved. USE OF THIS PRODUCT IS SUBJECT TO CERTAIN RESTRICTIONS AND LIMITATIONS OF WARRANTY UNDER THE LICENSE AGREEMENT CONTAINED HEREIN. YOUR USE OF THIS PRODUCT CONSTITUTES YOUR AGREEMENT TO ITS TERMS.